WASHINGTON — The Turkish government continues its clampdown on free speech as it could possibly ban Facebook and YouTube in the country. Turkey had cracked down on Twitter after democratic protests shook the country last year. Reuters reported that this move was to stop government foes from posting audio recordings online, which will exacerbate the corruption crisis that has put the current government in the spotlight. Prime Minister Tayyip Erdogan, of the ruling Justice and Development Party, has been under fire for a corruption probe that nabbed several of his prominent supporters and their relatives. 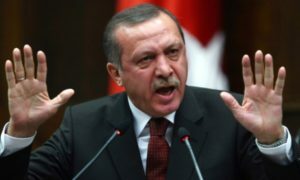 A YouTube audio recording supposedly recorded Erdogan criticizing a newspaper owner for a critical article of the corruption scandal and suggested that journalists would be fired. A recording like that would only fuel flames and criticism of Erdogan’s authoritarian policies and leadership, especially after his authoritarian response to democratic protests a year ago with a crackdown on suspected opponents. The recording, and others like it, have not been verified. Erdogan blames the U.S.-based Turkish Muslim leader Fethullah Gulen and said that Gulen’s wiretaps were “fabricated.” Gulen still has allies in the Turkish police and judiciary. Turkey had previously banned YouTube for over two years until 2010 because YouTube users posted videos that apparently insulted their country’s founder (according to the government), Mustafa Kemal Ataturk.